I knew that my 2nd great-grandfather, Warren D. Huse (1836-1910), started a machine shop in Laconia, New Hampshire, in the 1870s. 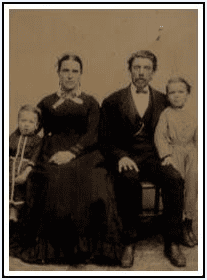 Here he is with his wife Irene (Goodwin) Huse and children Leon and Walter. That’s Walter Leonard Huse on the right. Photo: the Huse family. Image source: Thomas Jay Kemp. And here they are in the 1870 census, living in Laconia, New Hampshire. Yes, according to the census he was a machinist. His company manufactured knitting machines and related equipment as well as gas and steam pipe fittings. I knew a lot about him and his son, Leon Huse (my great-grandfather), but I really did not know much about his brother Walter Leonard Huse (1863-1933) except that he worked in the family business. Turning to GenealogyBank’s Historical Newspaper Archives, I quickly found these two articles that told me more about Walter. 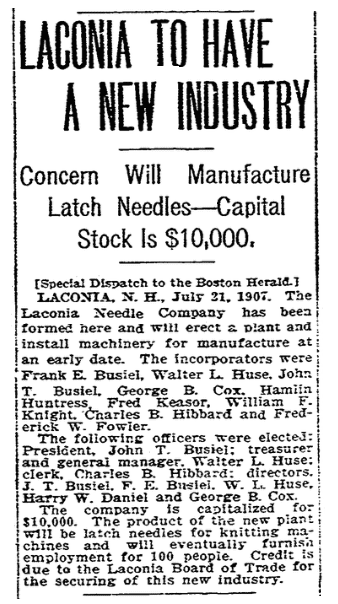 This article tells me that in 1907 he and a group of investors started the Laconia Needle Company. That’s interesting: I always thought that the W.D. Huse & Sons Machine Shop and the Laconia Needle Company were one company. I didn’t realize that they were two separate entities. 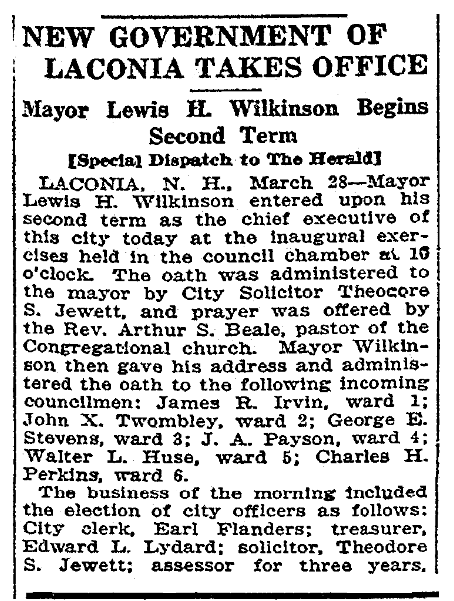 This is also interesting: in 1922 he was sworn in as a city councilman, representing Ward 5 in Laconia. Thanks to GenealogyBank’s diverse collection of over 9,000 newspapers and the U.S. census, I can find information and the stories about all of my relatives.